Claims against a Vehicle’s Owner after an Accident - Dupee & Monroe P.C. Serious accidents can leave victims with a mountain of medical bills and can even limit their ability to work and earn money to pay those bills. When the at-fault driver in a crash doesn’t have sufficient insurance coverage or assets to pay the victim what they deserve, getting all the compensation needed after a crash may mean that an accident victim needs to examine additional avenues for compensation. 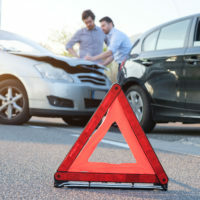 Some accident victims may have a claim against the owner of the vehicle that caused their injuries, even when that person wasn’t driving the car at the time of the crash. Learn more about permissive use below, and contact a seasoned New York injury lawyer for more information. New York’s Vehicle and Traffic Law holds vehicle owners responsible for how their cars and trucks are used, even when they’re not driving them. Section 388 of the Vehicle and Traffic Law states that vehicle owners are “liable and responsible for death or injuries to person or property” caused by someone using their vehicle with the owner’s express or implied permission. In other words, whether the owner explicitly told the borrower that they could use the owner’s car on the day of a crash, or whether it was simply implied that the vehicle was available for the borrower’s use, the owner can be held responsible for paying for damages caused by their vehicle even when they weren’t driving. Once an owner has provided consent for another driver to use their vehicle, it can be difficult to avoid facing liability for damage caused by the borrowing driver. The key fact is that the owner provided consent. If the vehicle was stolen, or someone visiting the owner’s home took their car keys and borrowed their car without the owner’s knowledge, then that owner can show that they did not consent to the car’s use and is likely able to avoid liability. In some cases, an owner may be able to show that, by using the vehicle in ways that went beyond the uses for which the owner loaned the car, the borrower did not have the owner’s consent and is no longer liable. For example, say the owner told the borrower that she could use his car to drive to work. Without asking, the borrower then used the car to drive to a bar after work and got into a crash while leaving the bar. The owner might be able to argue that the borrower didn’t have the owner’s consent to drive his car to the bar, and thus that he shouldn’t be held liable for the crash. A seasoned New York personal injury attorney can help accident victims pursue strong claims against all those responsible for causing an accident victim’s injuries. If you’ve been injured in a New York car crash, get the seasoned and dedicated legal support you need to seek the damages you deserve by contacting the Hudson Valley auto accident lawyers at Dupée & Monroe for a free consultation at 845-294-8900.